In Britain, during May, we are surrounded by vibrant carpets of gold, in our fields, along our roads, in parks, on waste ground and in our gardens, they’re Dandelions and they are at their best now. Often classed as ‘weeds’ Dandelions are very interesting plants, their name comes from the French ‘Dent-de-lion’ which means Lion’s tooth and refers to their deeply jagged leaves, their technical name is Taraxacum officinale the word officinale means that it is used in medicine and herbalism, the roots, leaves and flowers are all edible and have been eaten worldwide for thousands of years. Dandelions are full of vitamins, especially A, C and K, and a good source of calcium, potassium, iron and manganese, medicinally they have been used to treat infections and blood, liver and digestive disorders. Dandelions have long taproots which are twisted and brittle making them hard to dig up, if you leave a small piece of root in the ground the plant will regrow, much to the frustration of many gardeners, on the positive side their taproots bring up nutrients for shallower-rooting plants, and add minerals and nitrogen to the soil. 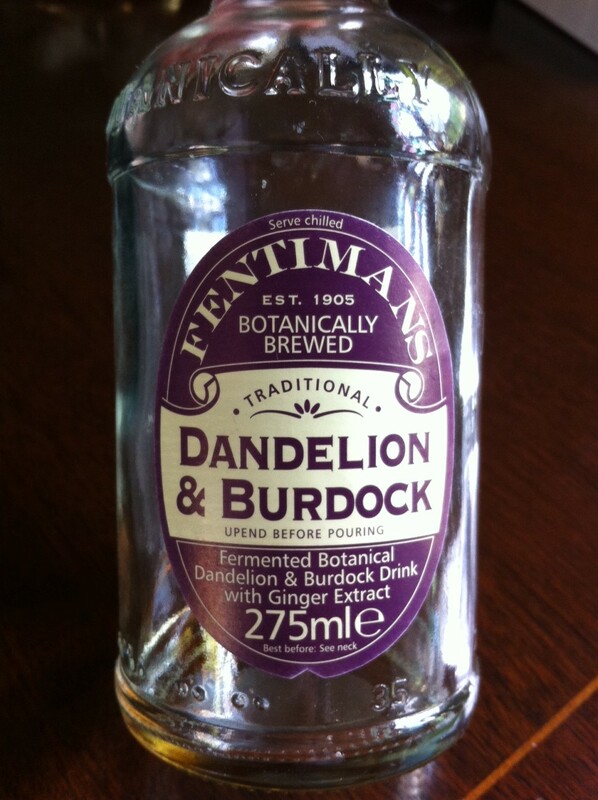 Dandelion roots can be roasted and ground to make caffeine-free Dandelion Coffee and are one of the ingredients in Root Beer, Dandelion and Burdock is a well-known drink which contains the fermented root extracts of Dandelions and Burdock plants, although many of the drinks that are available contain just flavourings, Fentimans sell a faithful recreation of the original naturally brewed Dandelion and Burdock drink, containing true plant extracts. Dandelion leaves form a rosette and can grow between 5-25cm long, when picked the leaves and stems emit a milky, white liquid (latex) which can be hard to wash off. The leaves are a good food plant of the larvae of many species of Butterflies and Moths including Riband Wave, The Flame, The Gothic, Large Yellow Underwing. 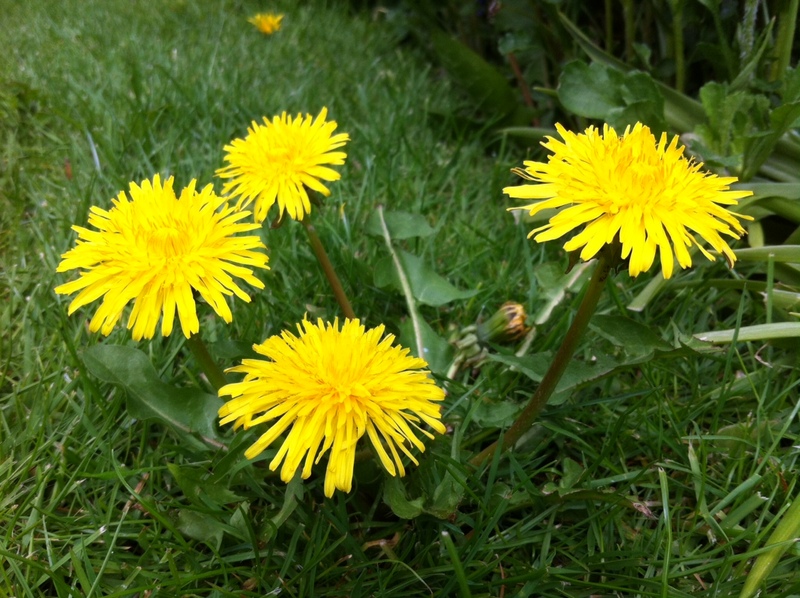 Dandelion leaves can be eaten raw in salads, boiled or sautéed. Dandelion flowers provide nectar and pollen early in the season for Bees and insects and are an important source of nectar for the pearl-bordered fritillary which is one of the earliest Spring emerging butterflies. Once pollinated, the flower head dries out for a day or two, the dried petals and stamens drop off, the bracts (leaves below the flower) curl backwards and the seed head opens into a white ‘starry’ ball often called a ‘clock’, each seed has its own tiny parachute which enables it to be blown great distances in the wind. Children love picking the clocks to ‘tell the time’, you keep blowing them until there aren’t any seeds left, each blow represents an hour! Dandelion flowers can be used in sweet and savoury dishes including Dandelion; Muffins, Syrup, Cookies, Fritters and Risotto. There is a lot more to the Dandelion than you might think, if you are tempted to have a go at cooking with them make sure that you identify the plant correctly and follow the recipe, be cautious if it is the first time that you have eaten them. I have plenty of Dandelions on my allotment that have been blown in from the surrounding fields, I also have three big plants in my garden which I have previously attempted to dig up and have now won their place in the border, they are stunning flowers and really don’t deserve to be called weeds, my only condition in allowing them to stay is that I remove their seed heads before they open into clocks. 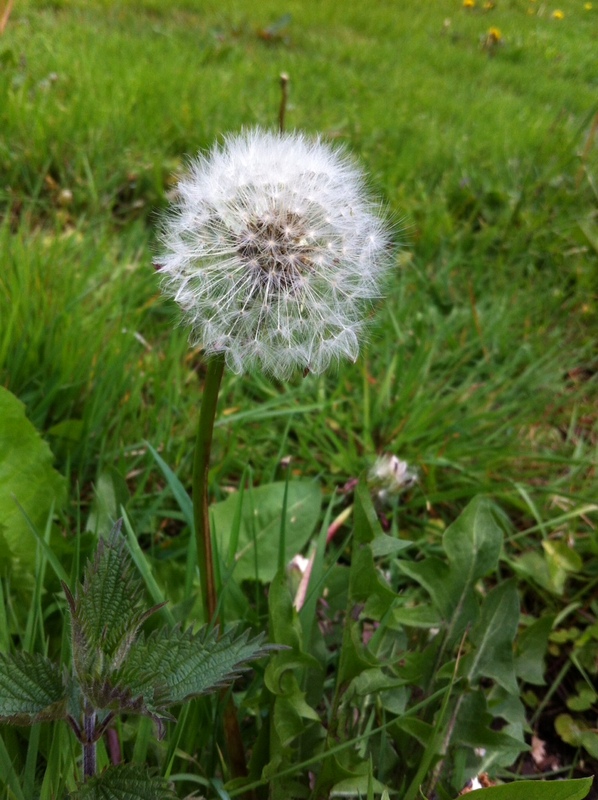 Take a closer look at Dandelions this week, why not photograph, draw, paint or press their flowers and leaves (click here for a guide to pressing flowers).